Tyra Banks was spotted walking back to her car and enjoying some gelato after a little shopping in Malibu, CA. 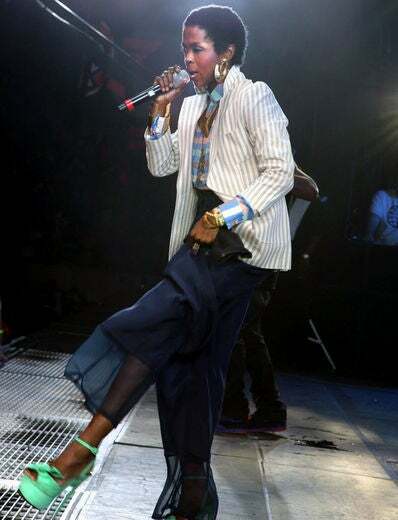 Lauryn Hill performs at HOT 97’s Summer Jam 2012 at MetLife Stadium in East Rutherford, New Jersey. Sanaa Lathan wearing a cocktail dress by Stop Staring at the 57th Annual Drama Desk Awards at Town Hall in New York City. 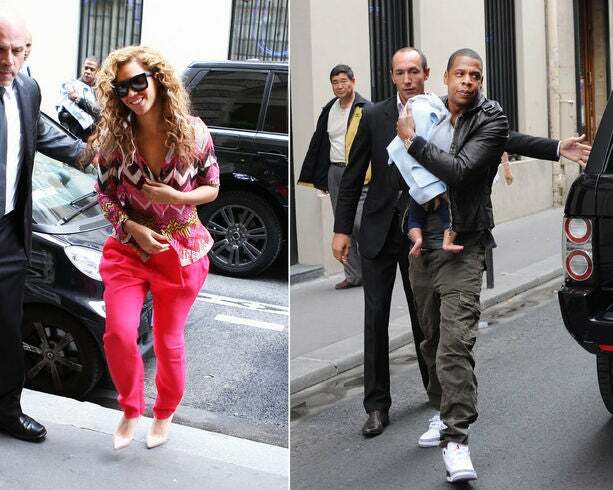 Beyoncé Knowles and Jay-Z with daughter Blue Ivy arriving at Meurice Hotel in Paris. 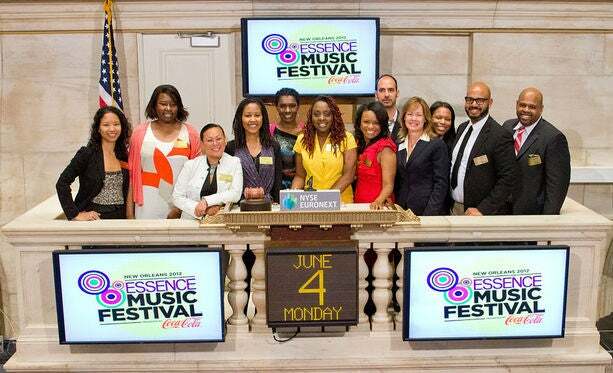 The ESSENCE team and ESSENCE Music Festival artist Ledisi rang the opening bell at the New York Stock Exchange in New York City. Rihanna shoots the latest AD Campaign for Vita Coco coconut water in New York City. 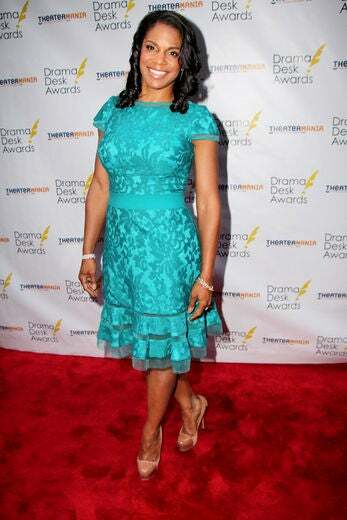 Audra McDonald attends the 57th Annual Drama Desk Awards at Town Hall in New York City. Ciara arrives at the 2012 MTV Movie Awards at Gibson Amphitheater in Universal City, California. Kerry Washington arrives at the 23rd Annual GLAAD Media Awards at San Francisco Marriott Marquis in California. Mariah Carey performs on stage at the Monte-Carlo Sporting Club in Monaco. Christina Milian and daughter Violet Madison Nash attend the Signature LA Fitness grand opening in Woodland Hills, California. Janelle Monaé arrives at the 2012 MTV Movie Awards at Gibson Amphitheater in Universal City, California. 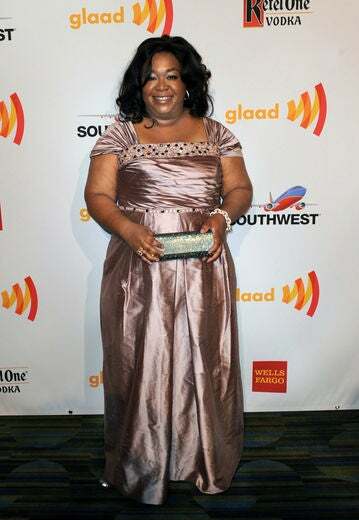 Shonda Rhimes arrives at the 23rd Annual GLAAD Media Awards at San Francisco Marriott Marquis in California. Kat Graham arrives at the 2012 MTV Movie Awards at Gibson Amphitheater in Universal City, California. 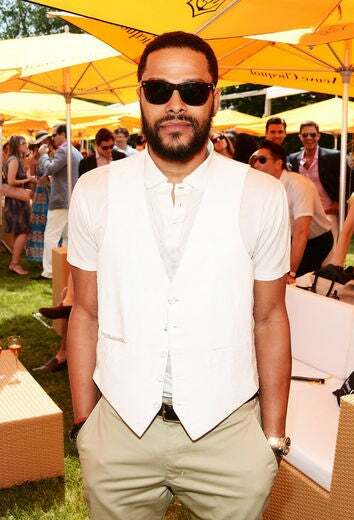 Maxwell poses at the VIP Marquee during the fifth Annual Veuve Clicquot Polo Classic in Jersey City. 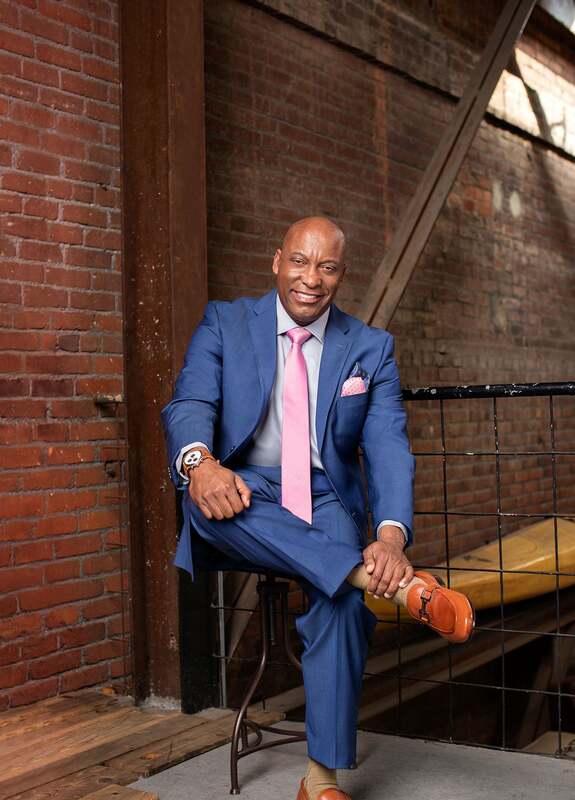 Chante Moore attends the Signature LA Fitness grand opening in Woodland Hills, California. 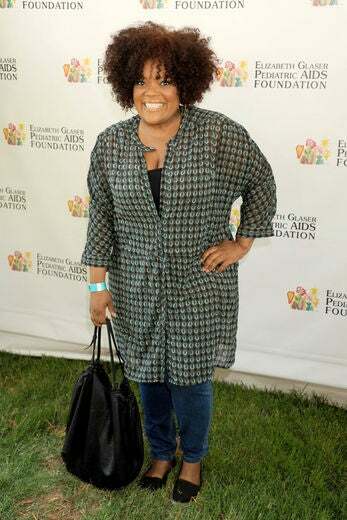 Yvette Nicole Brown arrives at the Elizabeth Glaser Pediatric AIDS Foundation’s 23rd Annual “A Time For Heros”’ Celebrity Picnic at Wadsworth Theater in Los Angeles. Amber Rose and Wiz Khalifa arrive at the 2012 MTV Movie Awards held at Gibson Amphitheater in Universal City, California. 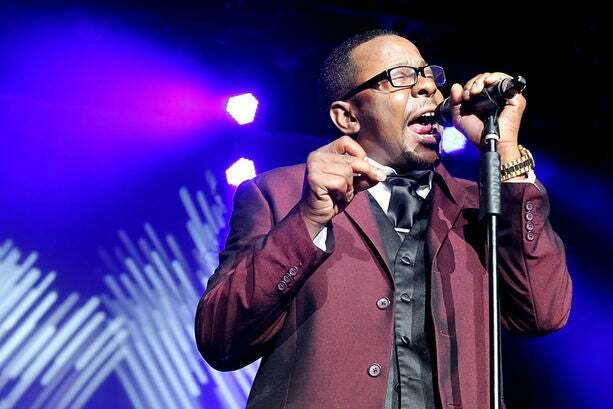 Bobby Brown performs in concert with New Edition at the AT&T Center in San Antonio, Texas.